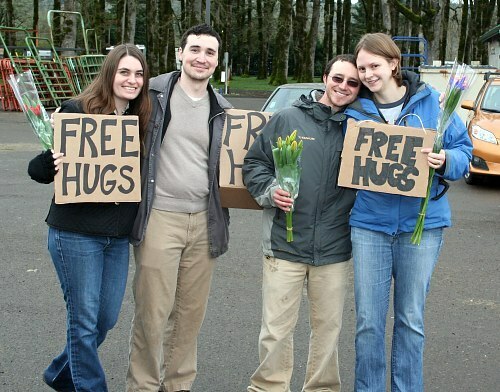 When I went to the Corvallis Indoor Market this Saturday, there were some young people out front with “FREE HUGS” signs. Their product quality was excellent, considering the price, and they reported that they were getting an 85% success rate. It’s nice to see that Oregon is still Oregon! Way to go!!! Hugs are the cheapest, most effective health care plan going. Previous Previous post: Can Eggs Help You Lose Weight?